RightsTech.com is published under a joint venture between Digital Media Wire, Inc. and Concurrent Media Strategies, LLC. It’s goal is to provide a hub for news, analysis and opinion on emerging technologies and technology-enabled strategies for the management, authentication and monetization of creative rights across diverse media industries. 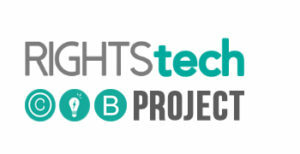 The RightsTech Project was created to convene and chronicle the bridging of the last major analog gap in the media value chain.